It’s the second day of summer and Midsummer’s Eve and hot as blazes in San Francisco. Even if you didn’t know how hot it is, you’d know something was off because the tourists have come out of their hovel hotels and are crawling all over the place. Go home silly people blocking my bike’s path! Go home! This city is not for visiting. Our place is usually lovely and breezy but since we’re on the third floor, beneath the black tarpaper roof, we bake in the heat. I make spa water – charcoal filtered water with oranges or lemons – so we stay hydrated. Glasses of spa water are everywhere. Our studio has begun to resemble the house in Signs. Remember that movie? The last good one Shyamalan did? The little girl is always asking for a glass of water and leaving half-full glasses all over the house. And it turns out that the aliens are burned by water. Remember? And the brother is a former baseball star. And just before the wife died years earlier, she tells Mel Gibson to tell him – the brother – , “Swing away, Merrilll. Swing away!” And Mel Gibson doesn’t know what she means, thinks she’s delirious from pain, until the aliens are there in the house and the water glasses are everywhere and Merrill’s bat is above him on the wall. And Mel Gibson says, “Swing away, Merrill! Swing away!” And he does, breaking the bat and the alien and shattering glasses and glasses of water onto the otherwise invincible alien. Remember? 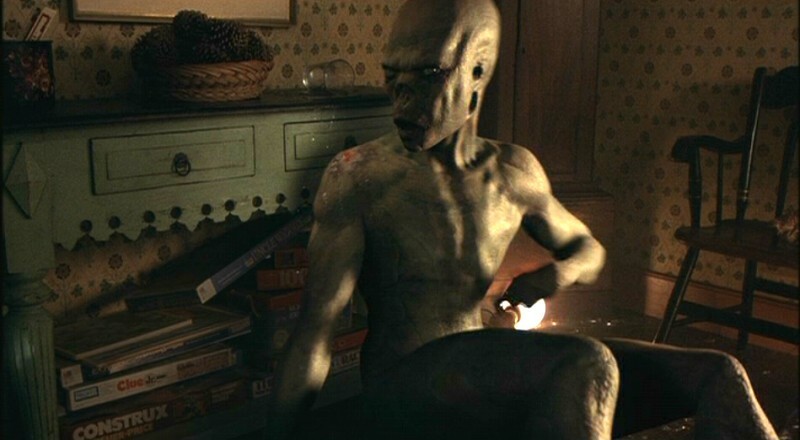 That’s what our apartment looks like, minus the alien. Alas, but my husband is swimming in the Alcatraz Sharfest this coming weekend, so we must descend upon your fair, albeit bloody hot, city. We shall avert bike paths at all costs in deference to this post.